KI Marketing Intl., serving the San Francisco and Los Angeles areas, offers a complimentary, 20-minute clarity call to clients seeking a consultation about how to launch a product or market a product in the U.S. market. 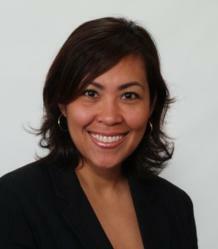 Karla Ilarde, Founder and President of KI Marketing Intl. is offering a complimentary 20 minute Clarity call. KI Marketing Intl., a consumer product sales and marketing consulting firm serving San Francisco and Los Angeles, is currently offering complimentary, 20-minute clarity calls to product manufacturers and business owners who are seeking advice about penetrating the U.S. retail market. “The point of the call is to get acquainted with each other and assess if we are the right partner that can assist prospective clients with their specific needs. If so, we help them determine what service would be appropriate to assist them with their business needs,” said Karla Ilarde, founder and president of KI Marketing Intl. A clarity call provides direction for clients regarding their situation and the exact solution they need. KI Marketing Intl. always tailors its services to the precise requirements of the product or business. Some of these services include a strategy call, monthly consults and VIP planning sessions. The strategy call is a one-hour session designed to give clients an honest evaluation of their product’s viability, recommendations on possible improvements to the product, a sales and distribution plan, and other valuable information about the product launch and retail buying process.Although clients spend about an hour speaking with KI Marketing during a strategy call, KI Marketing will have already completed all preliminary market research and evaluation on the product’s viability before the call. This ensures that time spent discussing possibilities will be as productive as possible. Any research necessary to proffer advice is included in the cost of the call. Monthly consults are conducted by a team of highly experienced veterans at KI Marketing Intl., who have serviced the likes of Target, Walmart, Costco and Bed Bath & Beyond. Monthly consultations are aimed at keeping clients on track, while providing ample support to achieve their particular business goals. The VIP planning session gives clients one full day with KI Marketing Intl. experts to assess business strengths and weaknesses, refine visions and goals, design growth plans and identify distribution opportunities. For more information on how to launch a product or about the clarity call, and any services offered by KI Marketing Intl., call 323-400-4752 or view it on the web at kimarketingintl.com. KI Marketing Intl. not only provides services on launching and marketing a product but also assists with retailing plans, product development, brand strategy, creative services, and sales representation and distribution. It will also perform sourcing services for entrepreneurs in the San Francisco and Los Angeles areas who are seeking a China manufacturer or an overseas manufacturing partner for their products. Karla Ilarde, KI Marketing Intl.’s founder and president, has more than 20 years of experience working in sales and marketing in the consumer-products industry.